It’s Christmas at Wolves Lane! On Thursday, December 8th evening, another Wolves Lane Open House was held filled with Christmas cheer and friendly faces to greet all visitors! Wolves Lane Christmas elves hard at work in the kitchen mulling cider and handing out tasty mince pies to all! If you didn’t get a chance to join us for the Open House, do drop by to say hello soon – there are Christmas trees and poinsettias for sale too! 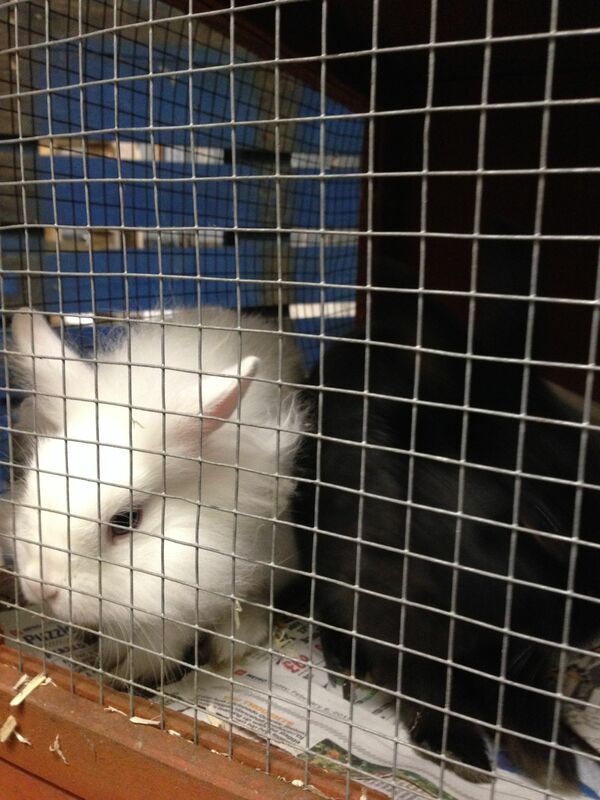 Two new bunnies at Wolves Lane! Look who’s new at Wolves Lane Centre! We’ve got two new rabbits who are waiting to meet you. The one on the left is white and the one on the right is black. Are they girls or boys? Can you guess their names? Come visit this weekend and find out! The rabbits are at the back of the Centre in their new rabbit hutch. Just ask at the front desk for directions!